The Planet is my Friend - Creating a network of friends to share eco-tips and green experiences. Earth Day was April 22, 2010, but we can celebrate it year round by practicing little green habits every day. Earth Day is an opportunity to remember that the three R's are prioritized. Reduce, reuse and recycle is a mantra with alliteration and purpose. Buy less. Buy less food. The sale on crackers doesn't do anyone much good if they sit stale in the cupboard. Even the greatest outfits can be lost in an over stuffed closet - what a waste! The best part of reducing is saving money. For every reduction, a positive action will reveal itself: less driving leads to more walking or biking and a healthier physique. One may reuse by using the same item for its original function again and again, or by re-purposing the item. A plastic sandwich bag used for dry items like chips can usually be reused without even needing a rinse. Clothing that is not dirty can be worn again before getting tossed into the hamper. Then, there's crafts and finding new uses for old things. With the internet, one doesn't need to be creative; just do a Google search and follow the directions of your selected craft. Here's one for turning old toothbrushes into bracelets. When nothing else can be done, dispose of the product properly. Some recycling centers will offer incentives to get hazardous items to the right facility. For example, Clark Public Utilities customers in Clark County, Wash. may receive a new compact fluorescent bulb for each burnt-out, unbroken one they bring in. FACT: Plastics can take up to 400 years to break down. Almost all the plastics ever made can still be found somewhere. Plastic manufacturers throw around words like degradable, compostable and biodegradable, but what do these really mean? These are all words that mean that the plastics break down, right? There is a difference between all of these and they should play a role in your purchasing decisions. Biodegradable products break down from naturally occurring microorganisms over a period of time. They are often made from plant and animal sources and some examples of biodegradable products include paper, vegetable scraps and some plastics made from ingredients like corn starch. BUT: When added to landfills in the oxygen depleted environment, biodegradable waste breaks down under anaerobic conditions and creates methane, which is a greenhouse gas with over 62 times the global warming potential of carbon dioxide. Biodegradable waste can also contain toxins such as heavy metals and pesticides. Degradable plastics are oil based and break down through chemical reactions rather that the activity of microorganisms, so they can degrade in an anaerobic environment into water, carbon dioxide, biomass and trace elements. Compostable plastics are close to biodegradable plastics but "greener", according to a Green Living Tips article. For plastic to be considered compostable, it must be able to break down into carbon dioxide, water and biomass at the same rate as paper. It also needs to look like compost, should support plant life, and not produce any toxic material. Compostable products are usually made from plant materials like corn, potato, cellulose, soy and sugar. THE BOTTOM LINE: In some scenarios the fossil fuel input is greater in making these "green plastics" when compared to the equivalent in crude oil basted plastic product. PULLMAN, Wash.—Lacey Wilmot, second year graduate student in WSU's Apparel Merchandising, Design and Textiles program, used her love for jeans as an inspiration to develop long-lasting, sustainable jeans. Her thesis project, “Designing Culturally and Environmentally Sustainable Denim Jeans,” was presented at the 2010 Academic Showcase. "I aimed to design American-made environmentally sustainable jeans,” Wilmot said. According to Wilmot, people spend $200 on jeans that only last seven months. The idea behind her project was to marry the iconic symbol of jeans with quality, and to make them sustainable. Her collection included five pairs of jeans, from trousers to skinny fit, all of which were meant for different body types. “One thing that is wonderful about Lacey’s project,” said Carol Salusso, associate professor of AMDT, “is that she is combating throw away fashion and designing jeans that will last.” Wilmot wanted people to know that quality jeans can be made to be sustainable. Eco-fashion is beginning to be trendy, but many people do not want to jeopardize fashion for the environment. Wilmot wanted to show people that she could design fashionable apparel that is eco-friendly and American-made. “You shouldn’t have to advertise that something is environmentally sustainable, it should be a given,” Wilmot said. Through research, Salusso discovered that the American Cotton Growers produce safe denim, which stands for sustainable, American and friendly to the environment. According to their Web site, the American Cotton Growers and its farmers produce an average of 37 million yards of denim annually, enough to make 26 million pairs of jeans, every yard of which is grown, spun, dyed, and woven from the cotton its members produce. Salusso also found a company that produces eco-friendly products that can be used to lighten denim. The company, Dyadic, even sent samples as a contribution to Wilmot’s project. “It’s really about making a good choice for yourself and for the world,” Wilmot said. The Visual, Performing and Literary Arts Committee at WSU created a video about Wilmot’s thesis project. The video was being exhibited in the CUB Art Gallery and can also be viewed here. Kaiser Permanente, the largest non-profit HMO in the country is going solar. 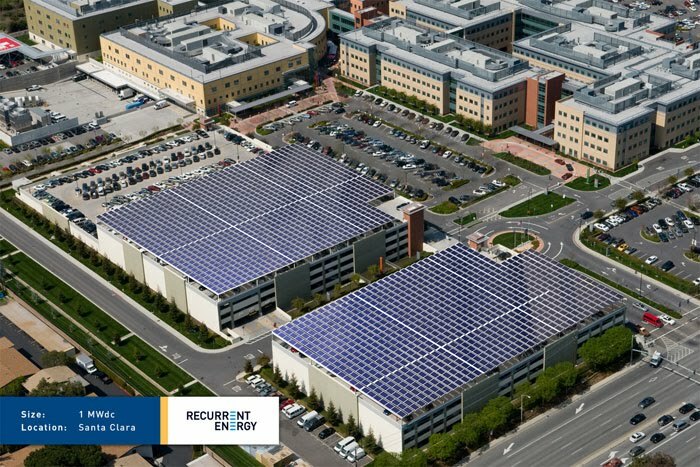 They will power 15 of their facilities in California with solar power by the summer of 2011. This agreement with Recurrent Energy, an independent power producer and a developer of solar power projects, will launch one of the largest sustainable energy programs in U.S. health care, according to a press release by Kaiser Permanente. “What’s good for the environment is good for our health,” said Raymond Baxer, PhD, senior vice president, Community Benefit, Research and Health Policy at Kaiser Permanente in a press release. “By expanding the use of solar power, Kaiser Permanente is demonstrating its commitment to greening its energy portfolio and reducing its carbon footprint." The solar power systems at Kaiser Permanente will produce an average of 10 percent of the power they use, equivalent to electricity used by about 1,900 homes a year. -Saves more than $10 million per year through energy conservation strategies. A leader in environmental health care and construction, Kaiser Permanente has committed to drastically reducing its use of fossil fuels and slowing energy growth over the next 10 years. -Will use sustainable design and construction practices to complete roughly 6.7 million square feet of new construction in the next seven years. -Eliminated the purchase and disposal of 40 tons of harmful chemicals. Anyone with money can buy a green car like a Prius or a Tango. For those of us with smaller egos and budgets, buying used, efficient cars can be the best route. The Green Car Company of Bellevue, Wash. a jewel when it comes to green, used car shopping. Their inventory is not extensive, but nonetheless exemplary including Smart Cars starting at $11,999 and a bio diesel-ready Volkswagen Golf for $9,999. The Green Car Company also resells fuel efficient cars that are less glamorous than bio diesel and hybrids, but still in good condition. These cars have decent prices, but the price really depends on the mileage. However, if you're not convinced that a green car is better the second time around, there are many canons of shiny, new green cars like this list from The Daily Green. I love farm fresh eggs. The different colors, the bright, golden yokes and the flavor make them worth the cost. However, I never thought about having my own chickens. The ruling excuse being that I don't live on a farm. 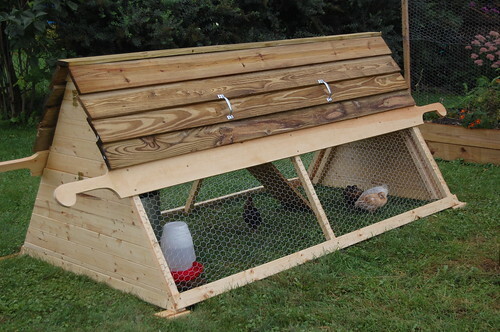 But now, clever chicken coop design is moving chickens to a neighborhood near you. Fresh eggs, natural fertilizer and safe slug remover is the green trifecta that chickens bring to the table. The Planet is my Friend. Designed by NodeThirtyThree and Free CSS Templates. Blogger Templates by Blogger and Blogger Templates.